OleoTest is a colorimetric assay that allows to determine the total polar compounds in frying fats in 2 minutes. It can be used in food industries, restaurants, kitchens, hotels and catering industry, among others. It is ideal for seeds oils (sunflower, corn, peanut, etc.). During the frying process, the fat/oil is exposed to atmospheric oxygen and moisture at high temperatures (over 160 ºC) for a long time; as a result, many chemical reactions take place in the frying fat producing a number of harmful compounds that can favour the appearance of several health problems, such as lung or stomach cancer. With this is mind, many countries have already made the monitoring of frying fat quality a legal obligation, while others are on the way to do it. 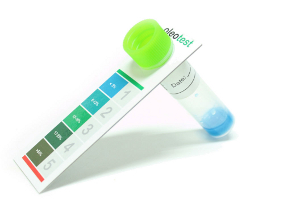 Oleotest is an innovation because of its accuracy, simplicity of use and also because the result remains stable for several months, allowing the test itself to be kept as registry in the scope of HACCP or Food Safety Systems. 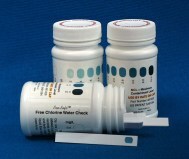 The Quality Assurance of the tests is continuously verified by independent entities.